The events that are told in this story are completely true. Sick. But true. So, one day I am waiting my turn to go tanning and I start fiddling with the zipper on my purse. I’m zipping it back and forth to the tune of “jingle bells”- when I notice there is something in the pocket. I hadn’t used this purse in over a year. Now, most girls know that finding something hidden in the bottomless pockets of your purse can be very exhilarating. (Kind of like finding buried treasure.) We stuff all kinds of things in our purses and every once in awhile; you find something you haven’t seen in a really long time. So that day, I reached deep inside my purse pocket and pulled out… a taco. Please don’t ask how it made it’s way into my purse. What was I thinking? “Oh, I have nowhere to put my taco. I know! (unzip). I’ll put it in my purse.” Honestly, I don’t know which is scarier, that I knowingly put a taco in my purse or that I have no memory of how it got there. Now, I’m not writing a diatribe about the inherent dangers of fast food (Although I think my story may cause you to wonder if it really is “more bueno” to grab a taco on the run.) What I really want to talk about is all the stuff we have deep inside our hearts that sits unused. Ever feel like your life doesn’t make much sense, like the things you want to do in life are kind of random? I know I have. Recently I have been talking with a lot of young people who feel the same way. Their life just doesn’t fit into a neat package. “I want to be a painter and a missionary.” or “I feel a call to business and ministry.” They look at me in confusion and embarrassment as they share their hearts, their expressions revealing the turmoil within. They think it can’t possibly be right to do both. Personally, I have always tried to embrace the season that God has me in. I simply do what I feel like He tells me to do. If He tells me to leave my job as a children’s pastor and take a job as a youth secretary halfway across the United States, I do it. My life may seem random to most. (Graphic artist, youth pastor, mission’s director, children’s pastor, youth secretary, drama instructor, painter, schoolteacher, fashion designer, writer, and wife are a few random titles I’ve held.) But now, at age twenty-nine and quickly closing the gap to age thirty, life is starting to make sense to me. What seemed disjointed is finally beginning to come together. In the midst of daily mundane living, the uniqueness of where God has us can be lost. I’ve thought about it lately like this: imagine a huge blank canvas. You pick up a tube of yellow paint and start painting away. Then you pick up a green tube, a little orange, and some purple and continue on with your masterpiece. No one thinks it’s weird to use different colors to paint. All the colors together make something beautiful in the end. It’s kind of like life. 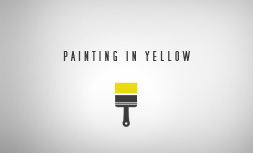 You may be painting in yellow right now and wondering what God is doing, maybe even feeling a little like He’s forgotten about the big dreams He told you about. Maybe you feel like you’ve been stuck in a holding pattern, a big merry-go-round of routine. Maybe you feel like you are doing a little of this and a little of that- and everything is pretty half hazard. Take a step back, Make sure you are still painting on the canvas (doing what God has spoken for this season) and see the big picture. God is doing something amazing with the details of your life. When you commit to obey the voice of God in each new season, you will one day look back and see the master design God has been painting all along. You may feel like you’re all alone out there, living this segmented life of desires that God has placed in your heart. Well, you’re not alone. In fact, I have met a whole bunch of young people just like you. It seems that God is doing something new with this generation. If you’re like me, there is something inside of you that wants to throw off labels and titles. Something that doesn’t want to be placed in a box. This new generation cries out to be recognized as a follower of Christ, void of titles and stigmas, to be assimilated into society. Kind of like Paul, who was a tentmaker, missionary, apostle, and servant. (Acts 18:3, Titus 1:1) This young generation is a group of creative people. They are multi-skilled. They are diverse. They are different- and they are not ashamed. There is a stirring in the hearts of this generation. A cry to be real. To embrace the call of God for their life- however different it may look. So if you are wondering why you have been painting in yellow in this season, it is for the divine call that God has placed on this generation. You have a new task ahead of you and it is a call that only you can answer yourself. Will you rise up and embrace the call that God has on your life? Will you stand up and be different? Will you pave the way for generations to come? Don’t shrink back from who God has called you to be because you’ve never seen it modeled before. Unzip your potential and discover the treasure that has been locked deep within your heart…no, it’s not a taco. It’s you.